I've been reading about a lot of interesting old world hair loss prevention methods recently, and I've got to say that castor oil for hair growth surprised me. 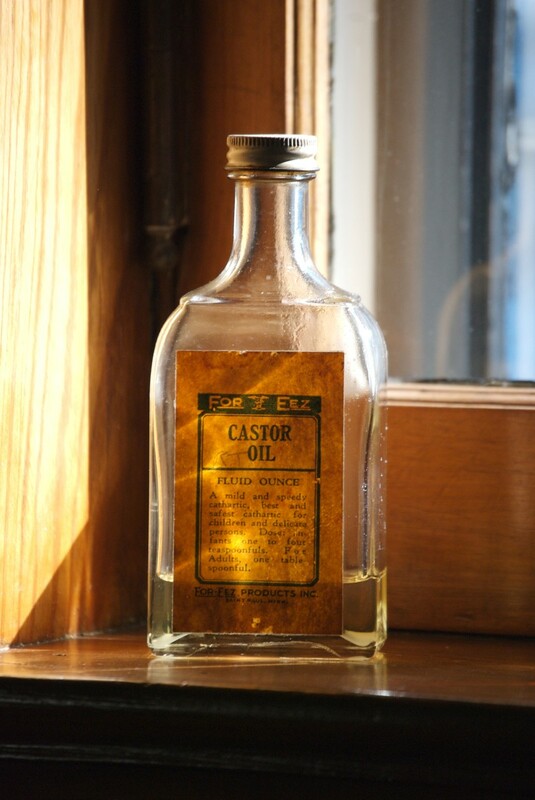 I was equally surprised to hear that castor oil has had a long history of use on both skin and hair. I had always thought that castor oil was just something that mothers gave their children a spoonful of in the 1920s to keep them healthy and hating medicine. But as I studied, I discovered that castor oil has been used for many years to not only stimulate hair growth, but for a wide variety of other functions as well. Castor oil has a long history of use because it's effective. Castor oil is a vegetable oil that comes from the castor bean of the castor plant. Castor oil has a wide range of essential fatty acids, and for that reason is very nutritious to both skin and hair. When rubbed on the scalp, castor oil has restorative properties that not only keep the scalp moisturized, but also help thin hair grow thicker and keep hair from falling out. Castor oil is used topically and rubbed directly into the scalp. Though castor oil was taken by the spoonful many a year ago, there are not many who still ingest castor oil for its nutritional and medicinal value, though it in fact is very nutritious when eaten. The Omega-9 fatty acids in castor oil helps to regenerate new hair growth within just a few months. In the meantime, castor oil also revitalizes the hair currently present by making it softer and shinier. The properties of castor oil actually draw water into the scalp and hair, which causes it to physically become healthier, more youthful, and vibrant. This is because castor oil is a humectant, which means that it attracts water to the hair and skin. There are many castor oil for hair growth products out there. This one is among the best. 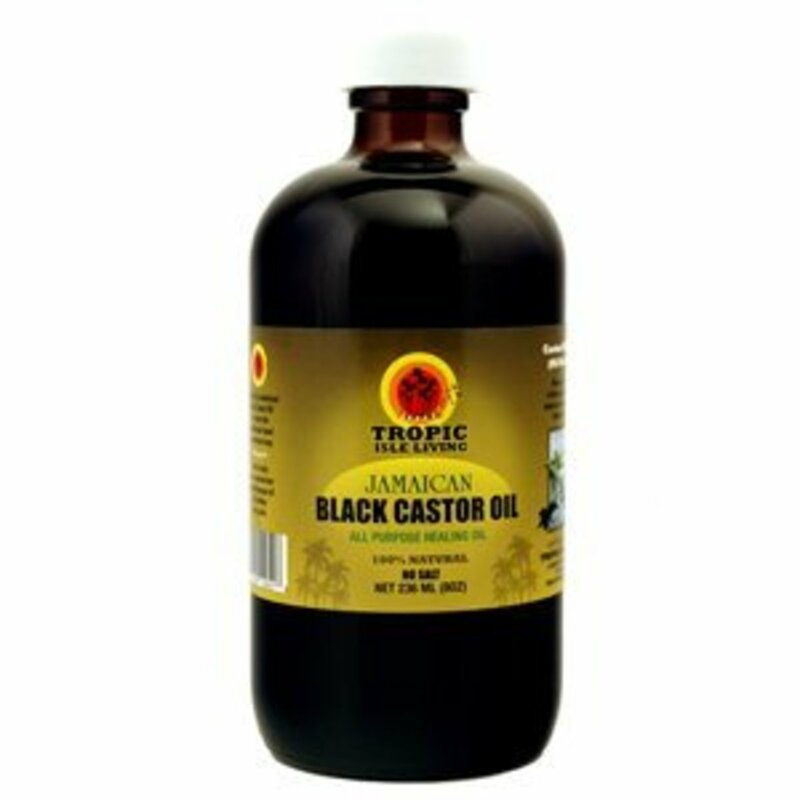 There's a form of castor oil called Jamaican Black Castor Oil that has begun to gain huge popularity in recent days in the world of hair growth. Though research hasn't yet cracked the specifics of how this form of castor oil works, it seems to have synergistic properties that really work well together to nourish the hair and scalp. It's possibly due to the fact that Jamaican Black Castor Oil is created using old world methods and is unrefined and unprocessed. This keeps more of the nutrients intact. There are many products that have now begun adding this type of castor oil into their formulas, and a few companies that sell it straight. One of the best things about this form of castor oil is that it's really inexpensive. I've given you two links below. Castor oil also has many benefits to the skin as well. The FDA has approved castor oil as a beneficial over the counter treatment to many skin disorders. That's one of the reasons why rubbing castor oil on the scalp is especially effective for hair growth, because castor oil not only has beneficial properties to hair, but also to the skin on the scalp. Castor oil has a low molecular mass, allowing it to penetrate deep into the skin, delivering nutritional and medicinal benefits to the areas it's applied. There is some evidence to suggest that eating castor oil also has beneficial properties on the skin, but applying it topically gives the most benefit to the skin. Castor oil also has been shown to have an unmatched ability to help break up scar tissue. Because of the fact that castor oil penetrates deeper than other plant oils, it goes down and begins healing areas of the skin that other oils never reach. Castor oil has been shown to be effective even against surgery scars. Depending on the level of the scarring, it may take awhile for the castor oil to show positive results. But applying castor oil to scar tissue each day should definitely show positive results. One surprising things I discovered in my research was that castor oil also has anti-inflammatory properties. I've been doing a lot of research and writing on anti-inflammatory foods recently because of the many benefits being discovered in recent years from having anti-inflammatory foods in our diets. Castor oil, being that it both has anti-inflammatory properties and also penetrates deeply though the skin is a good topical solution for inflammation. 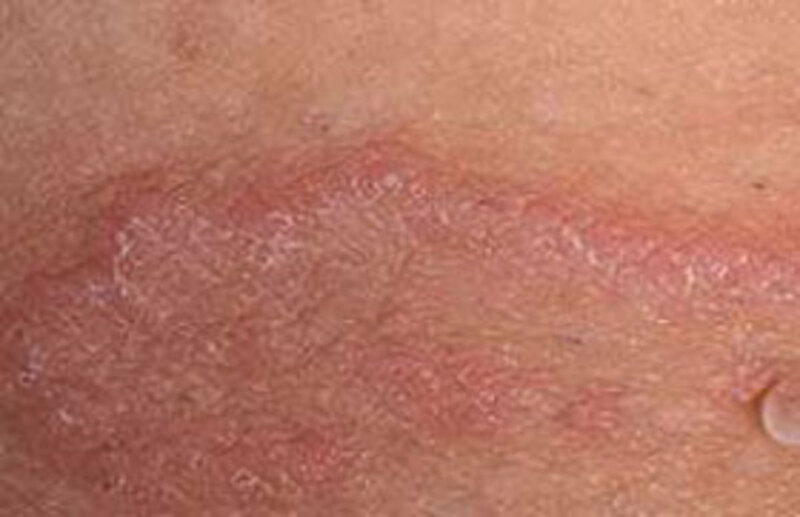 Not only is it very beneficial to the skin, it can soothe inflammation beneath the skin. Great information got to check it out. Just concerned about the smell. very informative hub , i enjoyed reading it and to be honest castor oil is my all time favorite and i my self use it every time i do oiling to pamper my hair but mostly i use it mixing with coconut oil and olive oil, thanks for the nice article, blessings dear! Hopefully. It helps a lot of people. The only problem with it is that it's thick and doesn't always smell the nicest. So you might want to use it at night. great news! I was looking for some natural remedey to boost my hair growth , this one will surely help! Awesome. I love castor oil. I use it almost everyday. Definitely let me know what you think of it. Hey there, this is a great hub. Very useful info! Yeah, and the best thing about it is the cost. We just picked up a bottle of it at the store for $5. Can't beat that. Hi, that's really helpful research about Castor oil. I would never have believed that it had such restorative properties for the skin, for example. Will have to find some and try it. Thanks guys. Those are good resources for people wanting more information. Thanks very much for stopping by. Nice Hub! I use jamaican black castor oil a lot so I had to let everyone know about the great things I have gotten out of it...I wrote a small hub on it https://hubpages.com/style/jamaicanblackcastoroil check it out when you get a chance. Great article, hair growth oils are becoming a big thing in the hair industry. They are now considered one of the mainstream hair growth remedies. I recently wrote an article on this subject, you will enjoy it. I wrote about many types of oils people use to keep their hair healthy, and on their head lol. Very cool. Thanks for sharing that extra tip. I never thought about using it hot. That's a good idea. Great article on the benefits of Castor. I sell and use castor oil. I have great results from using it. I used it as a hot oil treatment for my scalp weekly. It makes the hair soft. But, your article did a great job in outlining all the benefits of Jamaican Black Castor oil. Sweet. I hope it works for you. Thanks very much for stopping by. My hair is breaking and falling out like crazy. I will try this castor oil. Thanks for the information. Thanks guys. I'm glad it works well for you. Yeah that was a fairly new one to me as well. who knew there was an Omega 9? Thanks Cheryl! I love the old world remedies. They always seem to work the best for me. I hope it works for you. Thanks for this useful and informative hubpage. I will invest in this powerful natural castor oil with all of the healing benefits. Thanks! I didn't know it was good for internal cleansing. That's great to know. Thanks for passing that along. Great hub.very good information. I grew up using castor oil. My mother use to make and comb my hair with it. It also makes a great washout. I remember drinking it 9 days after giving birth to clean up my insides. Thanks! That's awesome. I was very excited myself to read all the different benefits that came with castor oil. Old world cures are still the best. Excellent excellent hub! Very informative! I know someone that will definitely benefit from this information and I cant wait to pass it on! Thank you so much for sharing!